As the world struggles through a recession, there are some British brands which have stood the test of time and lasted successfully, becoming British icons. The following are a selection of some of Britain’s symbolic brands and products. Quaker, John Cadbury, sold cocoa and drinking chocolate as worthy alternatives to alcohol. As manufacturing chocolate became easier and cheaper in the 1850s, it became available to the masses. And with improved factories and better transport links by the early 1900s, the ‘healthier’ new Cadbury Dairy Milk chocolate became increasingly popular after years of perfecting the taste. In 1884, Michael Marks opened a popular penny bazaar market stall in Leeds before moving to a small shop in Manchester. When Thomas Spencer invested £300, he brought organisation and financial expertise to the fledgling business. By the 1920s, Marks and Spencer revolutionised the business world, buying direct from manufacturers to lower prices and ensure quality. M&S became synonymous with British aspirations of quality and value, which helped promote it to iconic British status. The Aston Martin first reached prominence during the 1920s as an excellent racing car. However, it became associated with sophistication and luxury when the DB5 became James Bond’s car in Gold Finger (1964). Ford’s ownership helped boost investment and productivity in later decades, but Aston Martin is still essentially British-owned and is a classic, iconic car, symbolising timeless, British quality and style. When Edmund Crosse and Thomas Blackwell bought their employers’ company in 1829 they sought out the best chefs to produce some of the finest pickles, sauces and condiments for society’s wealthy population. Popular with cheese – and so bringing it on to society’s plates with the Ploughman’s Lunch – the name Branston is synonymous with ‘pickle’ and has been a brand leader since its introduction on to the British food market in 1922. Love it or hate it, Marmite is one of the iconic British brands after scientists had discovered the potential nutritional benefits of the previously binned brewer’s by-product, yeast. It became popular in the early 1900s because of its health connotations (a “special vitamin blend” according to their website) and so it was included in the ration packs of soldiers and in hospital food. In later decades it also appealed to vegetarians as a meat alternative. Ralph Chapman, owner of the British Vitamin Products Company, realised the impact of the Depression on the health of his poorest customers; so he found a way to bottle fruit juices so they stayed fresh for longer and so Robinsons was born. Robinsons has been the drink of choice at Wimbledon since 1935, so confirming it as an iconic British brand and one of the British brands of summer. In the mid-18th century, Arthur Guinness invested a £100 inheritance in an old brewery outside Dublin and soon Guinness’ popularity meant it was expanding and being exported. Associated with health benefits, thanks to an advert from 1815 alleging to have aided the recovery of a cavalry officer from the Battle of Waterloo, Guinness continued its rise to iconic status. The ‘Guinness is good for you’ advertising campaign in 1929 was followed by sending a bottle of Guinness to every British soldier on duty at Christmas in 1939. And so Guinness cleverly reached a mass audience. By 1880, Burberry had introduced gabardine, a breathable, weatherproof and tearproof fabric, which helped Thomas Burberry’s association with innovation and quality and increased his loyal following. In 1895, the Tielocken, a predecessor of the trenchcoat, was launched and adopted by British troops in the Boer War. And further adaptations to the Tielocken created the trench coat, which was used during World War One. 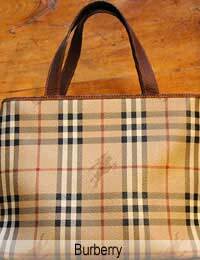 By the end of the 20th century, Burberry’s two Royal Warrants signalled their iconic British brand status. So despite the furore surrounding many British brands being sold to foreign investors, there are scores of iconic British products still to be proud of and which are still the best names around. Unless they manufacture in the UK they have no right to call themselves a British Brand and I will do all I can to avoid purchasing any of their imported cheap rubbish at extortionate prices. The more you export your production the more you hasten the demise of your company.